Another theme day photo, this time quite a challenge to find the best one. I think this picture represents so well the idea of this blog, of finding beautiful stories and places from Bucharest and showing them into vivid colors. This city has so many hidden treasures waiting to be rediscovered. 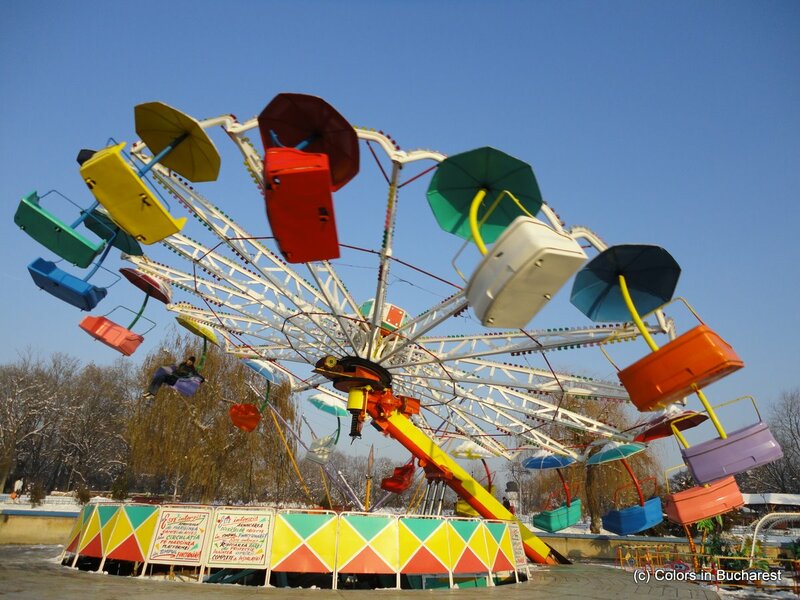 So, if you plan to start the new year full of energy and joy, a children carousel is a perfect way to make you smile. And if you come to Bucharest, you can find it in a little neighborhood park called Moghioros Park in the middle of Drumul Taberei District. And don’t forget to visit the blogs of other participants to theme day challenge on City Daily Photo project here. Fantastic and funny shot, it´s a great choice to this theme day. Happy New Year!